Intellect, indeed, is the new form of property. Focused intelligence, the ability to acquire and apply knowledge and know-how, is the key differentiator in these times. We have come a long way from the days of Adam Smith, who postulated the ‘new’ world economics in his seminal “ Wealth of Nations”, in the 17th century. As we stand on the threshold of celebrating the power of the individual, the season of campus placement at our Business Schools echoes the changing realities. All stakeholders, at the B Schools, seem to be chasing the chimera, in their quest to garner the best. Dr Johnson, in his eternal fable “Rasselas” aptly captures the prevalent mood about all of us who “ pursue with eagerness the phantoms of hope; who expect that age will perform the promises of youth, and that the deficiencies of the present day will be supplied by the morrow.” Getting what you want, making the call, closing the deal is of course the essence on both sides; the hirer and the aspiring pass out. Year after year, this gets played out at 1700 B Schools across the country, which attract the attempts of over a hundred thousand aspirants, and there-on over 300 corporations who desire to harvest the output. For mutual gain indeed! One of the most significant aspects that impact both the students and companies that visit campuses is the quality and success of placement. Many heads of HR have indicated that this is a crucial denominator that separates the best schools from the rest. There have been a series of surveys which have attempted to distill distinguishing elements that make a school what it is, and have in turn used them to provide a ordinal ranking. The best of the aspirants and the premier hirers, in turn flock to those schools, which are rated well. If you look at parameters such as Quality of Education, Industry Interface, Infrastructure, Specialization, they are the ones that provide the input. The effects of these cause elements combine to result in the Quality and Success of Placements. Reputation of the school is fortified, in turn, by the track record the alumni chart out as they make their careers thereafter. Management Education as a specialized discipline, in India, goes back almost to the independence days. 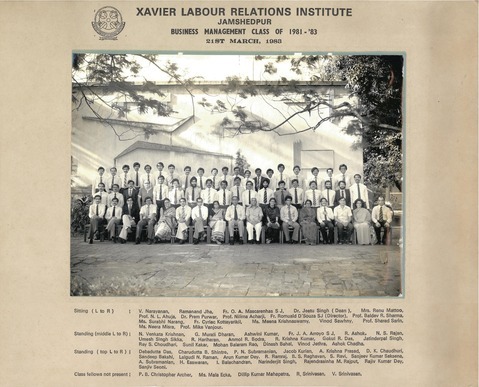 Of the recognized leaders in management education XLRI was set up as early as 1949, followed thereafter by FMS Delhi University in 1954. IIM Ahmedabad and Calcutta were established in 1961 and IIM Bangalore in 1973. The past decades have seen a sea change in terms of the perceived value among students. Three decades ago, Engineering, Medicine and Civil Services were the most sought after route to a professional life ahead. In the current scenario, Management has risen to significance. What then are the aspirations of students who enter the portals of the venerables, and what fuels the visits of corporations to pick the best of the best ? Organisations , in this evolving state of economic churn, are in quest of future managers who can fuel their growth into the future and play a key role in “creation of wealth”. Corporates have moved towards the best academic institutions, particularly B-Schools, to hire. Some of the advantages perceived include the ease of finding trained students in a wide set of functional areas, students who are clearly in the above average league ( having had to pass a grueling ‘elimination’ test) , and the prospect of being able to hire young and mould the entrants into your own culture. What kind of students do organizations that visit campuses look for? A generic set could comprise: academic excellence; attitude; capacity and willingness to learn; mobility; cultural fit; relevant experience; knowledge about the hiring firm. Organizations look to hiring fresh MBAs and meld them into their own ethos and way of working. More often than not, the focus is on finding a prospective match amongst the desirous students, with behavioral competencies that are valued within the firm. One must be relentless in being able to research the prospective set of organizations that are likely to be of your future interest. Pre-placement events on campuses provide a first hand opportunity to gain insight into organizations. Use the net, study balance sheets, speak to your seniors who’ve joined them, talk to others who work in these firms, check out their customers; understand their vision, mission, articulated strategy, their culture, and so on; use all your imagination and ingenuity to understand the genetic code of the prospect and examine if that’s where you belong. This matching process is vital, lest you run the risk of having to hunt newer pastures sooner than you desire. Taking the right step forward in handling the placement season, making the right choice, and bagging what you have set your eyes on, opens the portals of your road ahead. Tom Peters, in his book “ A Brand called You”, highlights the cardinal principle that “you’ve got to become relentlessly focused on what you do that adds value, that you’re proud of, and most important, that you can shamelessly take credit for”. Over time, I have learnt that these aspects hold true not just for the young, but may stay relevant to us, even as we get on with our lives. Most of us are conditioned by present times, to dream and aspire with a heightened level of ambition. In our attempt to seek the extraordinary, we tend to become impatient with life’s rewards, when they come in small measures. The art of resilience is a rare commodity, and the power of perseverance is underestimated. When you face life as it unravels itself, the caterpillar of failure turns into the butterfly of success. The wings, in its multifaceted hues, of fortune lend the freedom to traverse insurmountable obstacles. Hold on to your self esteem, and emerge stronger through every adversity. In your quest for a brighter morrow, do make today count !